CiviDay 2014 in Denver was for sure a resounding success! 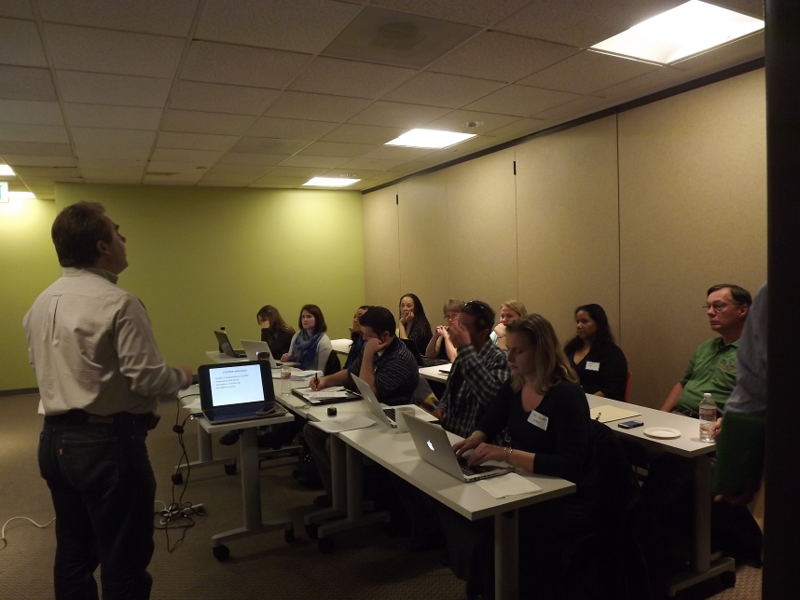 With more than 55 registrants and a packed full-day program, everyone whether newcomer or experienced user learned a great deal about CiviCRM, networked with their peers, and got all their questions answered! The day was quicked of by a short presentation on CiviCRM, CiviDay and the power of an Open Source community. We then (literally) split the conference room in half, and had around 30 newcomers learn about what CiviCRM is and what it can do for your organization, while the 15 or so experienced users attended a presentation on CiviCRM extensions and even had a walkthrough on how to create a small extension to reorganize an online form. Then, after a short coffee and pastries break, it was time to head back in the rooms. This time the larger room had a couple of existing users testify about their experience with CiviCRM, while the geeks learned about creating successful email marketing campaigns with CiviCRM. But then was the highlight of the day: we reunited the rooms, and videoconferenced the core team for a Q&A session on a variety of topics ranging from how the core team works to how many contributors are active in the community, how anyone can contribute to our community even if you are not a programmer, and finally ended with Lobo's crystal ball predictions on the future of CiviCRM. It was then time for a light lunch and refreshments before launching in a co-working day that included an in-depth demo of CiviCRM, as well as small group discussions on how to perform a CiviCRM upgrade, how to customize report templates or write new ones, how we could interface CiviCRM with an encrypted email service, comparing the integration with Drupal to what is available in WordPress and Joomla!, etc, etc. 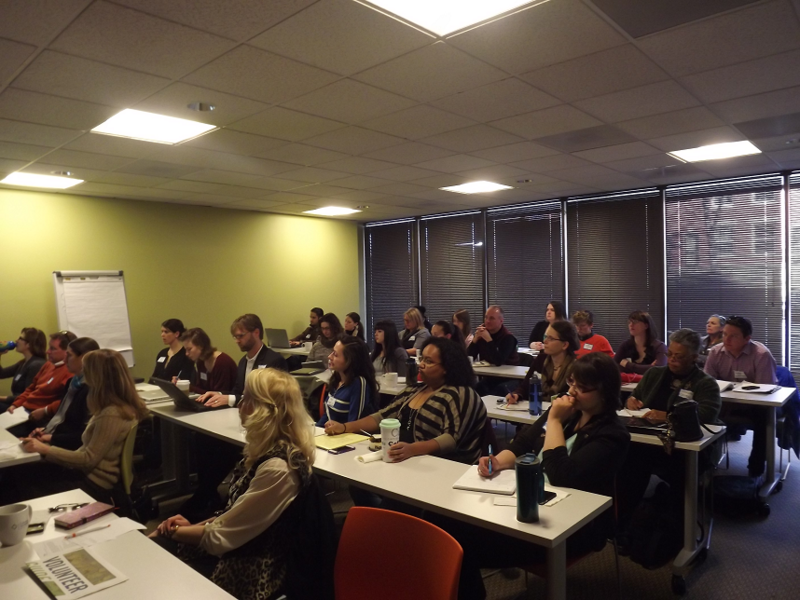 This full day event was organized by Cividesk and T4T Colorado, with the active support of the Colorado Nonprofit Association and the Denver Office for Strategic Partnership. We are all looking forward to CiviDay 2015 and have already started exchanging ideas for making next year's event even more successful!